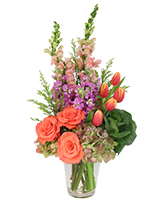 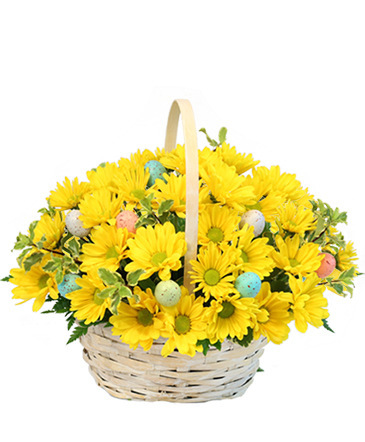 Call ALEGRIA FLORAL PARTY and send flowers with feelings that come straight from the heart. Make someone's day more memorable with this charming basket of pink lilies, roses, alstroemeria, carnations and freesia. Flowers can bring a smile, give you comfort or make you laugh, and now is a great time to send some to the ones you love. 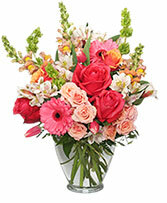 Call ALEGRIA FLORAL PARTY direct or order beautiful blooms now from our website. 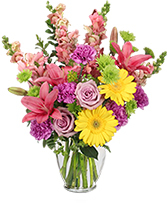 Express your appreciation to any thoughtful friend, loved one or colleague with flowers from ALEGRIA FLORAL PARTY... It's the perfect way to say Thanks a Bunch! Order an arrangement now from our website or call our shop and order today!